The San Diego Public Library’s Summer Reading Program (SRP), “Reading Takes You Everywhere,” ends in August. To win prizes, register before Aug. 1, at sandiego.gov/public-library. The San Carlos Branch has five remaining SRP special events. The entire family will enjoy our Wednesdays at 2:30 p.m. shows which last about 45–60 minutes. There were over 120 attendees at our first event held in the children’s area of the library due to Community Room space constraints. Can you say, “We need a larger library?” This is not a “quiet hour” at our branch. Mad Science – Jangala Book, on July 18, will have us tromping through a “jangala,” the Sanskrit word for jungle. We’ll explore the jangala by listening to its sounds, discovering its creatures, and experimenting with the chemical elements found in its native plants and insects. July 25, be amazed by the magical prowess of Amazing Dana! Audience participation and comedy will entertain all. Local marine scientists from World Below the Waves on Aug. 1 will teach us about seals, whales, dolphins and more, including a close-up look at preserved specimens. Aug. 8, Literature Comes to Life! Audience members will have a chance to act out “Whale Is Stuck: An Arctic Adventure,” written by Karen Hayles. Stacey Wein, teacher and children’s theater actress, provides expert direction and luxurious costumes. Aug. 15, Hullabaloo entertains with quality music the whole family can enjoy! Find Waldo! Join in the Library Shop’s Where’s Waldo @ the Library contest going on at all 36 branches until July 31. Pick up a passport at the San Carlos Branch to learn the contest details. Adult Craft Circle meets on Mondays, 1–5 p.m. Make new friends; come for an hour or stay for four. Crafts range from knitting to jewelry making. There are no rules; make whatever you want. There are plenty of experienced crafters willing to share their tricks of the trade. Crafters meet in the Winer Family Community Room & Art Gallery. Our free Mind/Body Fitness for Older Adults is limited to 25 participants who are admitted on a first-come, first-served basis. The class includes chair yoga exercises and meets Tuesdays, https://mediaspectrum.net/healthcare/ order now 2:30–3:30 p.m. in the Community Room. A personalized e-Reader Clinic is offered every Thursday from 10–11 a.m. Show up at 10 a.m. and ask a librarian at the front desk for instruction on how to borrow free eBooks and eAudiobooks, and search the databases of the San Diego Public Library system for a wide range of subjects. You must bring your personal e-Reader, library card, and know your library PIN number. OASIS, local speakers, and authors fill our second, third and fourth Fridays, 2–3 p.m. spot. All programs are free, and each presentation is unique, covering a huge variety of subjects. 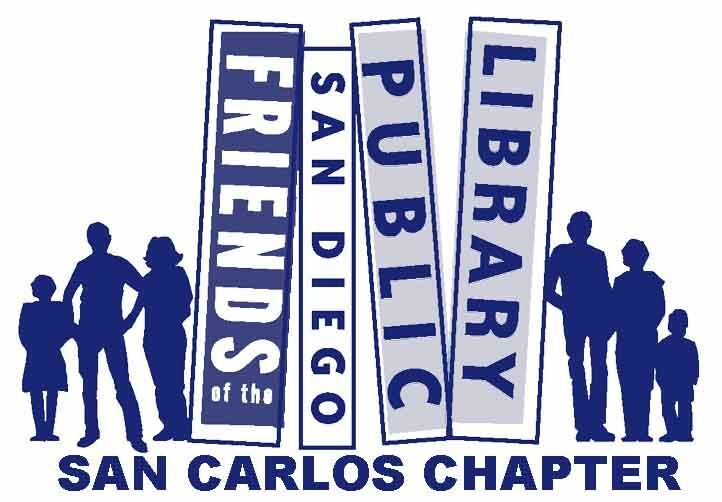 Please check the branch’s calendar of events or sancarlosfriendsofthelibrary.org website for program details. Meditation for adults meets on the second through fifth Saturdays, 9:30–10:30 a.m. This stress reduction activity is free and those new to meditation are always welcome. Do you have high blood pressure, suffer from panic attacks, or just feel that you are losing control of situations? Meditation techniques can help. Parry draws from skills acquired as both a private sector graphic artist and as a visual arts teacher in the Grossmont Union High School District to create her beautiful paintings. An artist reception in Parry’s honor will be held Saturday, July 21, noon–2 p.m. Refreshments will be served. History buffs, on July 27, 2–3 p.m., don’t miss author Elizabeth Cobbs speaking about, “The Hamilton Affair.” This historical novel is based on the true story of the marriage of Alexander Hamilton and Elizabeth Schuyler, their life during and after the American Revolution, and Hamilton’s fateful duel with Aaron Burr. With an American History Ph.D. from Stanford University, Cobb’s fiction and nonfiction books have won numerous awards. Also a Fulbright Scholar, Cobbs has served on the Historical Advisory Committee of the U.S. State Department and on the jury for the Pulitzer Prize in History. Aug. 9, 12:30–2 p.m., the Library Book Club is discussing, “The Other Einstein,” by Marie Benedict. This novel weaves historical facts about Albert Einstein and his first wife, Mileva Maric, a gifted physicist in her own right, into a very intriguing story that inspects their relationship, and the possible contributions Mileva may have made to the Theory of Relativity. July 20, 2–3 p.m., a County Health and Human Services Agency (HHSA) representative will discuss how “Good Mental Health is Ageless.” This presentation dispels myths, stigmas, and barriers surrounding older adults’ mental health. The talk includes the signs and symptoms of adult mental health issues and gives the audience self-assessment tools. Emphasis is placed on prevention activities such as: physical activity, social interaction, interpersonal relationships, life learning, and finding humor in life. July 18, 4–5:30 p.m.: SCFOL monthly meeting. Please join us.